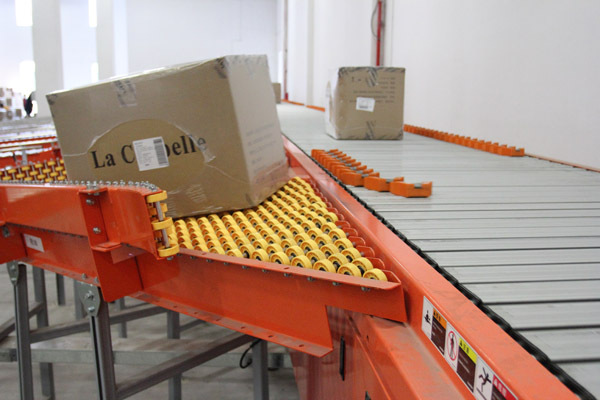 Regardless of the weight, size and shape of the goods, the unique sliding shoe sorter will provide accurate, flexible and fast sorting. 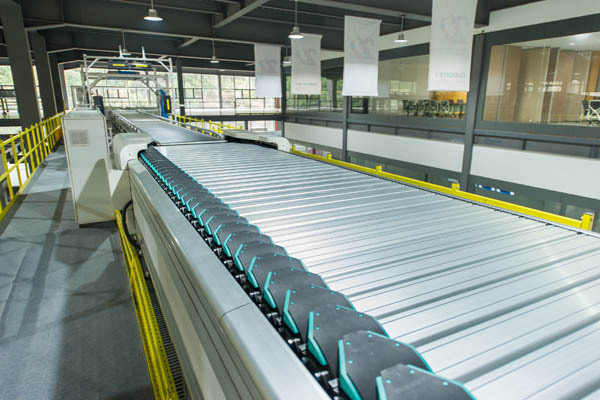 The system boasts a super high speed switching capability and is suitable for a vast range of sorting applications. Electromagnetic high speed switching technology. 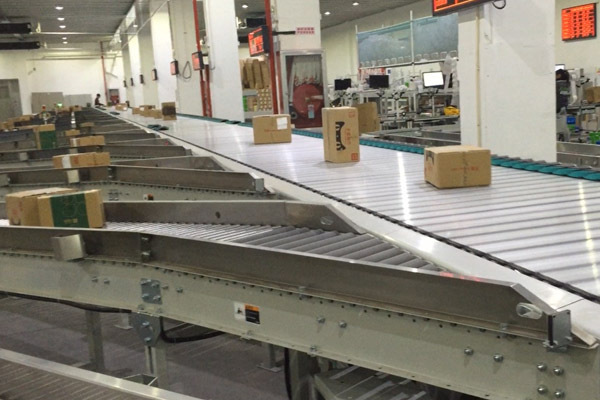 The speed and sortation function are perfectly combined by adopting the latest electromagnetic driven high speed switch technology. Millisecond switching capability and unique fork vibration elimination technology are safe, reliable and maintenance free. The sorter host can run at an operating line speed of 2.5 m/s. 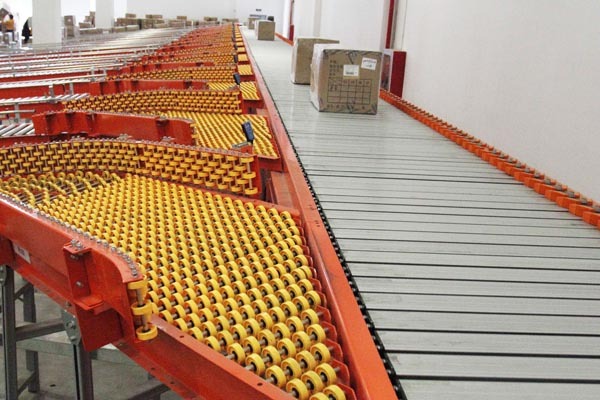 The single side sorting rate can achieve 8,000 pieces per hour. Items may also be simultaneously sorted to both sides. By utilising modular unit integration technology, the construction is simple and convenient for maintenance. Removing and replacing a sliding shoe can be completed in only two minutes. The use of the latest high tech materials has lowered the running noise creating a more comfortable working environment. The operating noise of the main line is less than 70db. Dual motor synchronous drive technology. 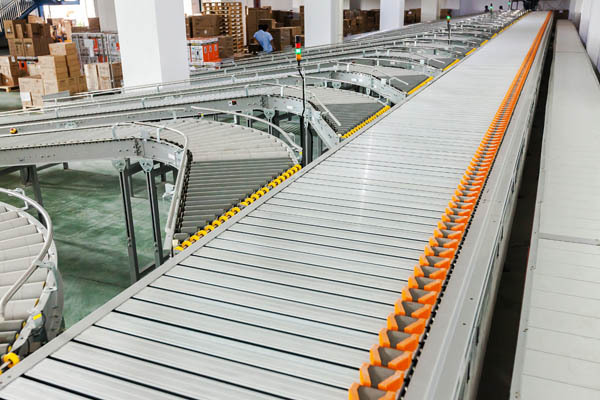 Using two low power technology drive motors instead of a single large power motor to drive the main line provides higher control precision and a more stable and easily configured system.